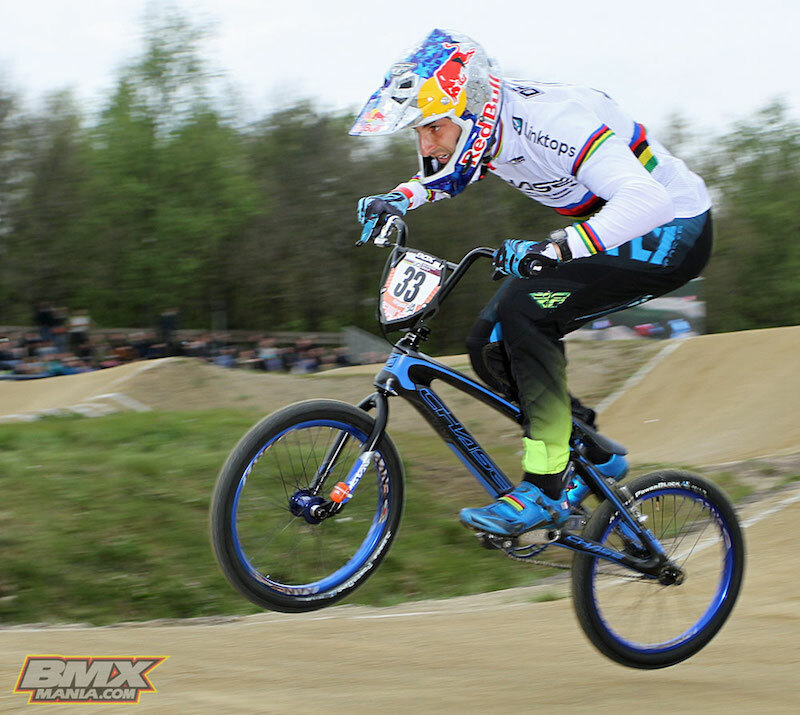 Joris Daudet wins the UCI BMX Supercross in Papendal, Holland with Connor Fields in 3rd. 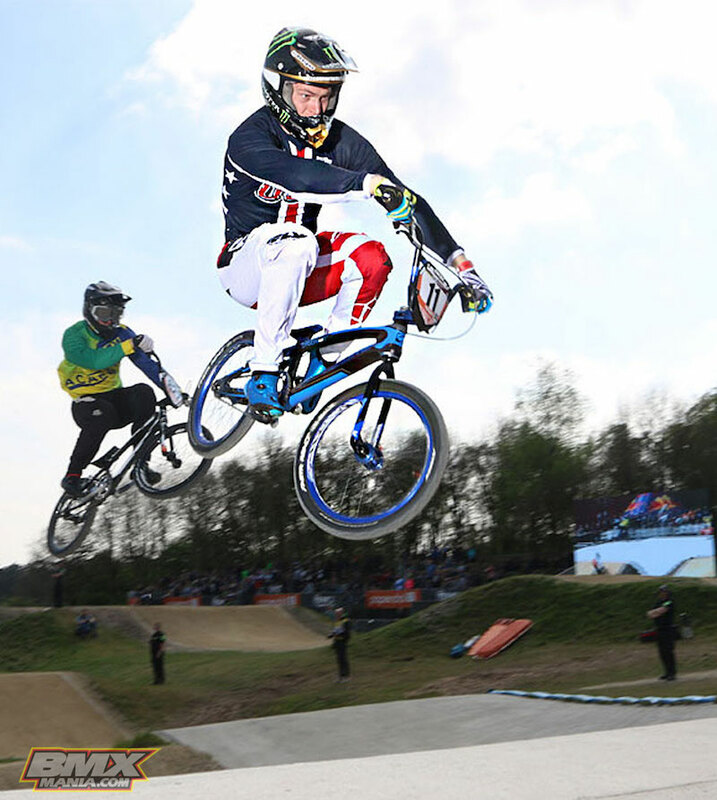 The season opener for the UCI BMX Supercross World Cup tour was held this past weekend at the Sport Center Papendal. For the past 6 years, Papendal has been one of the crown jewel events, with a track that is a wide open and super fast, with a very technical set up for the jumps and huge, banked turns, making for great racing and many opportunities to pass. This year, the UCI SX events have a new format, with 2 events per weekend, giving riders the chance on the World Cup level to have 2 opportunities to get on the podium. This season opener was much anticipated by riders World wide to get back on the SX track, and it was evident by the turn out, as it was the largest UCI SX to date! With 185 Elite men registered, this was going to make for some great racing, with the Worlds fastest riders. 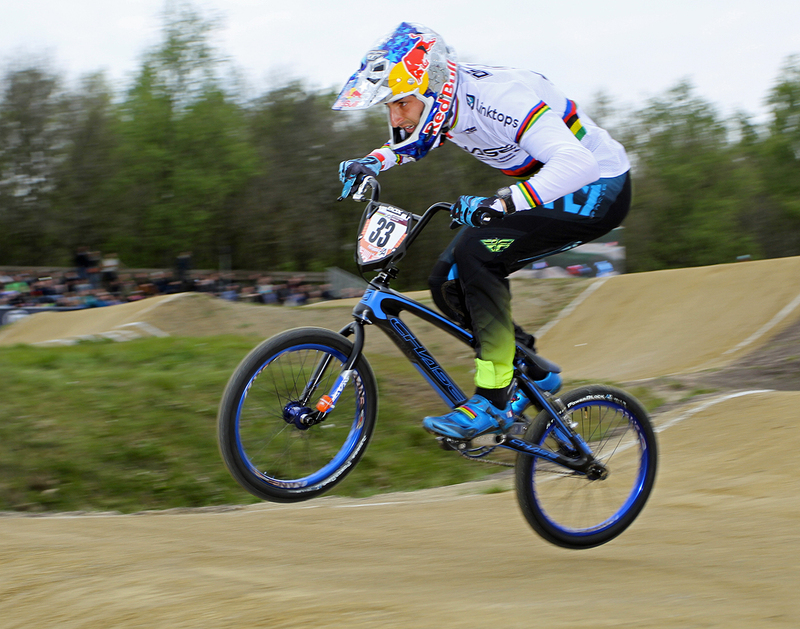 The Chase Factory Pro team was in full attendance with Joris Daudet, Connor Fields, and Romain Mahieu all looking to make their way into the main events. On Day 1, the season kicked off and the Papendal track did not let anyone down, as it produced some incredible racing on track, with bar to bar battles in just about ever race that lined up. Joris and Connor both made their was through the 6 laps of racing and into the main event. When the gate dropped of the main, both guys were just off the super fast pace and would be edged out into the first turn. Connor and Joris would win up 7th and 8th for the day. A great result, but both of the riders knew they wanted to come back and redeem themselves on Day 2. Day 2, each of the 3 came to the track with great explications, and it seemed they all focused to have a great day of racing. When the qualifiers were all finished in the Elite men, Connor, Joris, and Romain all made their way into the main event. With the final main of the weekend starting, it would be Connor who would take the hole shot and lead the pack down the first straight. Heading into turn one, Joris was just on the inside of Joris and carved the turn so far, putting him just ahead of Connor. Joris would take the lead over and Tory Nyhaug also had a great first turn, just edging out Connor. Joris would lead the race all the way to the line, taking his first World Cup win, with Connor finishing up 3rd for the day! Romain would finish up 6th for the day, giving the Chase Pro team one of the best days on the UCI BMX World cup ever! 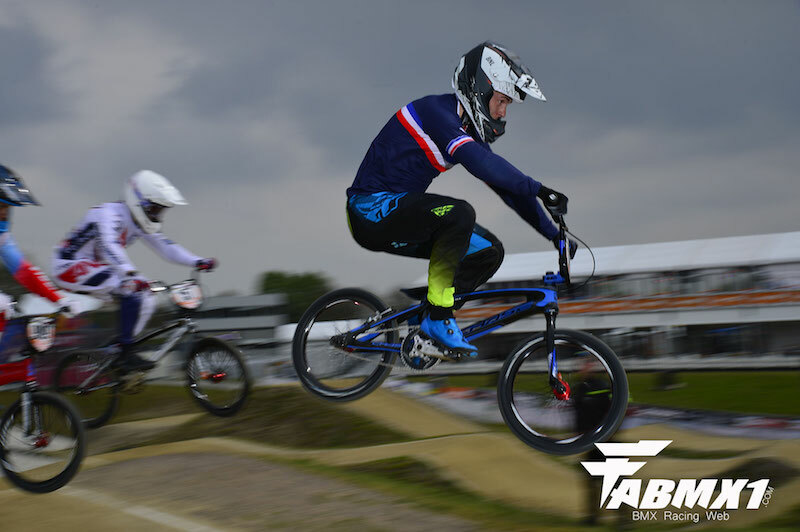 The riders now head over to Belgium for the 2nd stop of the UCI BMX SX World Cup tour next weekend and hope to continue on great string of results for the 2017 season.